As global tensions mount, leaders of powerful nations sit ready to defend their people or destroy their enemies. Alliances are formed, yet fragile. Deals made, but not always upheld. Diplomacy is just as important as strategic planning and procuring armaments. 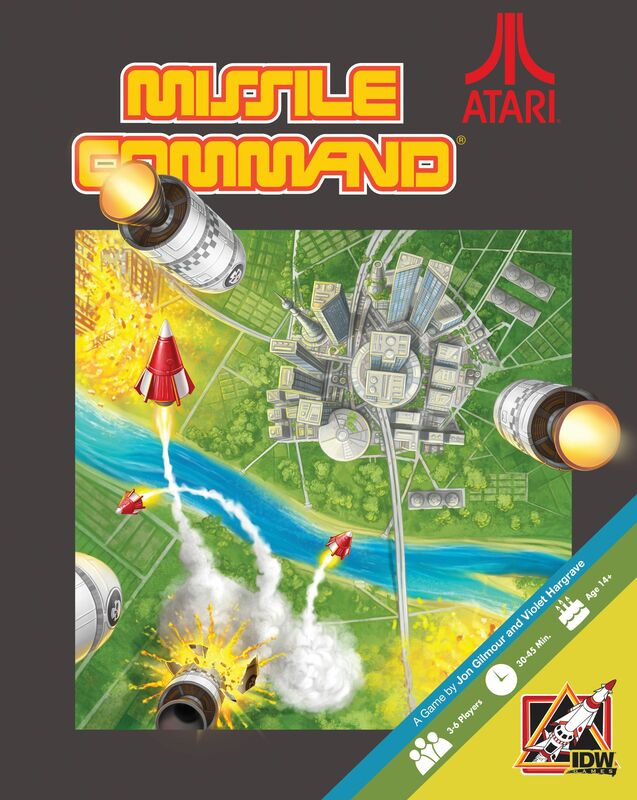 The missiles are at your command and the choice if yours: fire on your enemies or betray your allies in Atari's Missile Command. In Missile Command, 3 to 6 players venture into the world of the classic arcade game. Each player builds and deploys their supply of Missiles, Nukes and Interceptors on a mission to destroy as many enemy cities they can, while trying to protect their own. Each round, the players can negotiate with each other, forging temporary alliances and truces, or trading funds and Missiles. Then, they secretly plot their attacks behind their Radar Screens. Finally, they reveal their attacks, and destruction rains down from the skies! In the end, the player who can best protect their cities while destroying their opponents' wins the game!